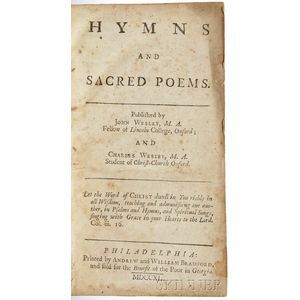 Wesley, John (1703-1791) and Charles (1707-1788) Hymns and Sacred Poems. 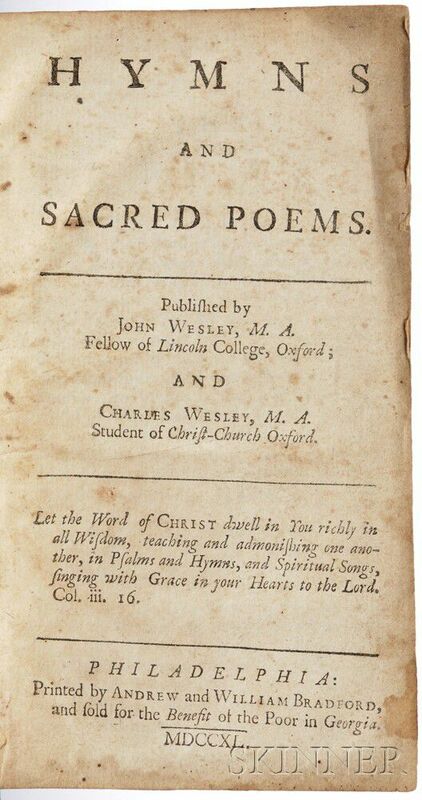 Wesley, John (1703-1791) and Charles (1707-1788) Hymns and Sacred Poems. 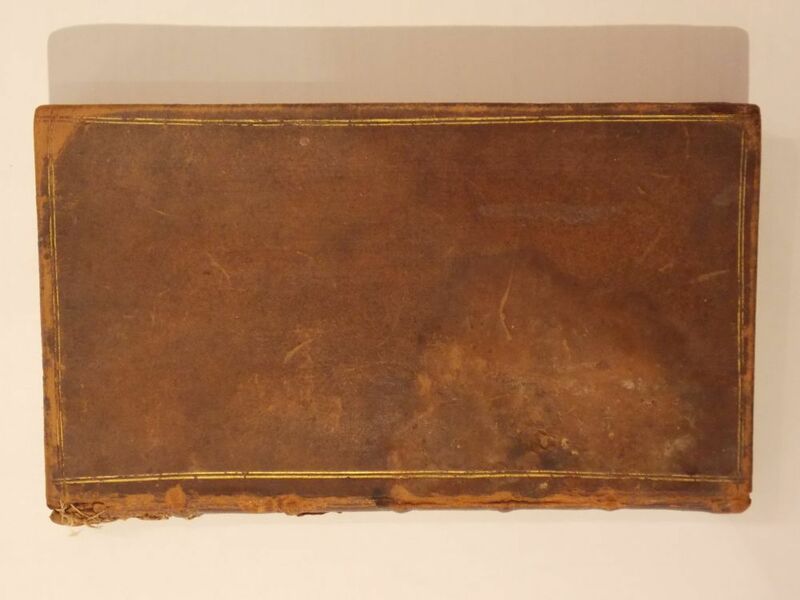 Wesley, John (1703-1791) and Charles (1707-1788) Hymns and Sacred Poems. 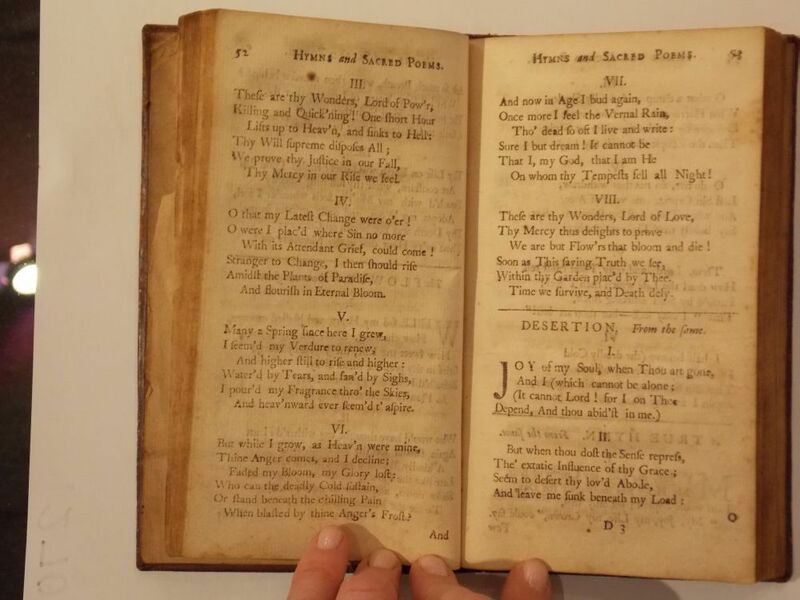 Wesley, John (1703-1791) and Charles (1707-1788) Hymns and Sacred Poems. 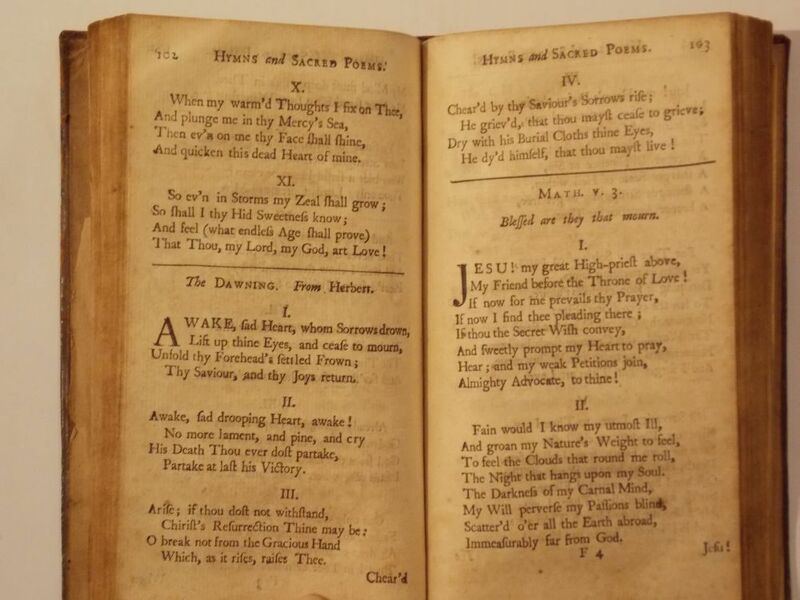 Wesley, John (1703-1791) and Charles (1707-1788) Hymns and Sacred Poems. Wesley, John (1703-1791) and Charles (1707-1788) Hymns and Sacred Poems. Philadelphia: Andrew & William Bradford, and sold for the Benefit of the Poor in Georgia, 1740. 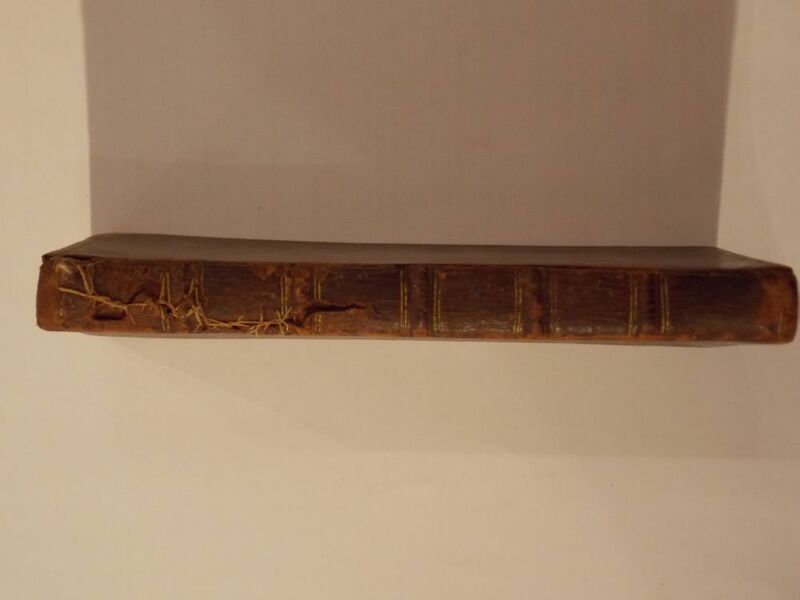 First and only American edition, rare, two copies only listed in ESTC http://estc.bl.uk/W8870; bound in full contemporary speckled calf, some damage to spine repaired with homespun stitchery, structurally sound, rubbed, boards somewhat reflexed, abrasions, leather split along spine, joints dry; spotting to contents, 6 3/4 x 3 1/2 in. This rare early American Methodist imprint was published five years after John and Charles Wesley traveled to America on a mission to Native American Indians in Georgia.